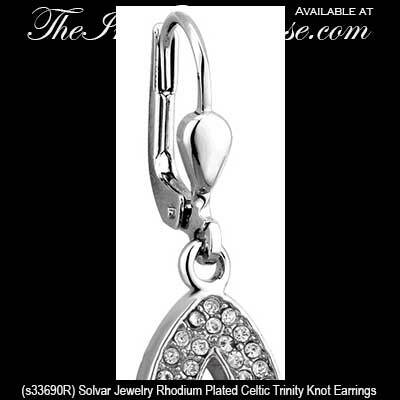 These rhodium plated Celtic drop earrings feature CZ stone studded Trinity knots. 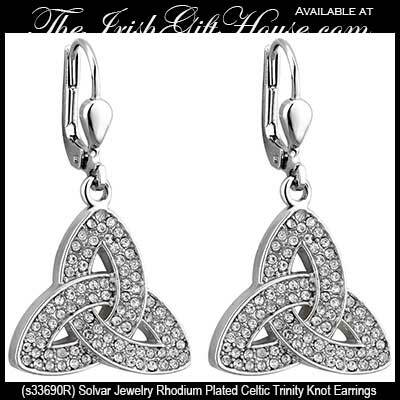 These rhodium plated Celtic earrings are Trinity knots that are bejeweled with two rows of CZ stones. 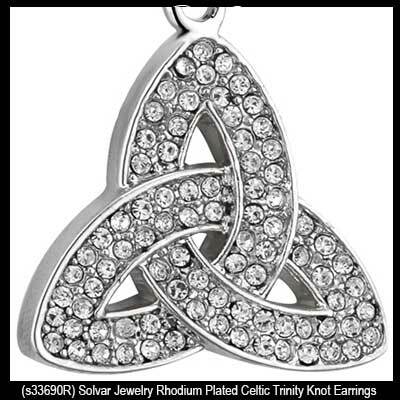 The drop Trinity earrings are on latching Eurowires and measure 5/8" wide x 1 1/4” tall, to the top of the wire.